The investment fund TerraCap Partners II purchased a 105,872-square-foot office building for $6.67 million. The price equated to $63 per square foot. That figure is lower than the two-year average price per square foot for office space ($118) in the Tampa Bay area, according to the CoStar Group. The building features fiber Internet, a 1,000 KW generator and 500-gallon diesel fuel tank, a covered outdoor employee break area and Liebert specialty air handling units. It was 35% occupied at the time of the sale by beverage company Cott Corp.
Another big advantage for the buyer was the addition of a large parking lot that improves the ratio of spaces per 1,000 square feet for the buildings in the entire park to more than six up from fewer than four spaces per 1,000 prior to the purchase. That change opens the buildings up to call-center companies, according to Hagenbuckle. The new ownership plans to resurface the parking lot, modify the entries and face and upgrade the signage. The purchase marks the final investment of the TerraCap Partners II fund. TerraCap Management has started collecting investments for the third fund, TerraCap Partners III, which is designed to hold $300 million. 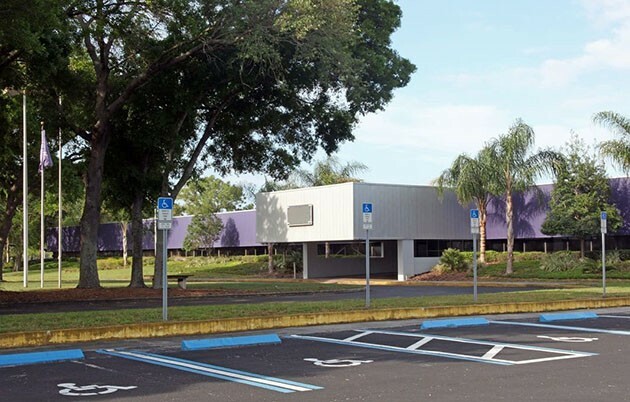 The purchase entity, Tampa International Business Center II LLC, mortgaged the property to National Financial Corp. for $3.96 million.